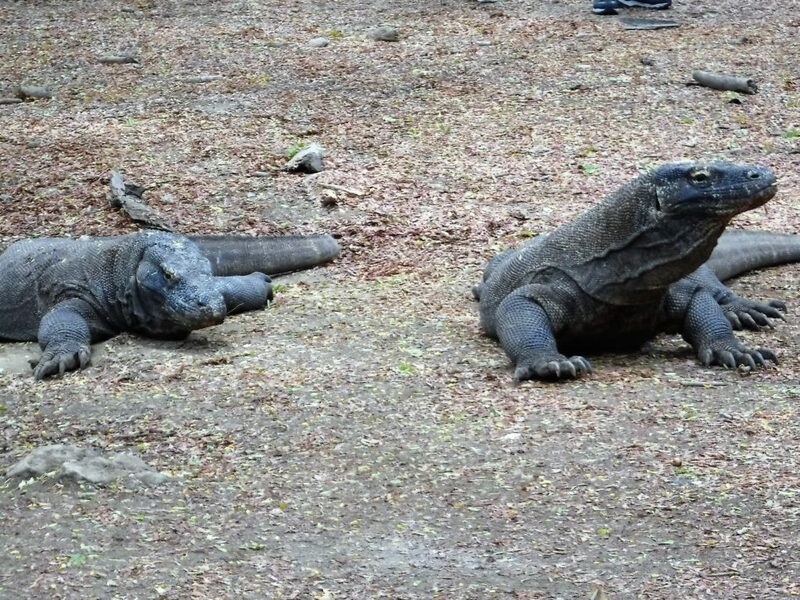 You’ve Seen one Komodo Dragon, You’ve Seen Them All! I immediately related to that observation. When we were on our 80 day voyage 18 months ago and cruising around Australia, Patty and I skipped the Zoo excursion in Brisbane and opted for a day at the Gold Coast. We wanted to see Surfers Paradise and the huge, famous waves along the beautiful beaches an hour south of Brisbane. By doing so we missed seeing the kangaroos at the zoo. How could we not witness these animals from down under? Well, in my small brain I rationalized having already seen a kangaroo at a couple of Zoos in America. Like Seinfeld, they all look alike to me! It should be noted however, that we did see a koala bear while in the port of Cairns the evening after snorkeling the Great Barrier Reef. They are cute little devils! One creature I could not dismiss checking out was the Komodo Dragon on the island of Komodo in Indonesia. Evidently this island is the only place on earth where they roam wild. How could I NOT take the tour? Not likely to ever be in this part of the world again. So Kangaroos, no. Komodo Dragons, yes.